If you’re in the wedding industry, you may recognize these two beautiful faces. As if their good looks weren't enough, Sharon is a talented wedding planner (and owner) at Sweetest Love Events and Josh is the owner and videographer at Fisheye Studio. Photographing the wedding of two talented people in the industry has the potential to feel like a lot of pressure, but these two were so sweet and expressed complete trust in me from the beginning. What more could I have asked for?! I crossed paths with Sharon at the end of 2017 when we had the chance to work a super fun wedding together (coming to the blog soon!). We immediately hit it off and she quickly became a friend. I knew Sharon had recently become engaged, but never pressed for details on whether she had found a wedding photographer yet. Three and a half months before her wedding, we decided to meet for happy hour where she filled me in on all the details- it would be a destination wedding in Hawaii and they would exchange vows at an intimate ceremony on the beaches of Oahu with an incredible intimate dinner at the Four Seasons Ko Olina to follow. I tried to play it cool, but inside I was so jealous of whoever she had hired to photograph her wedding. I told her that ironically, I was toying with the idea of going to Hawaii around the same time and then she so casually said, “Oh!! Well we still need a wedding photographer, why don’t we have you do it?”. Haha! Simple as that! I couldn’t believe how naturally things fell into place from there. I feel so lucky that one of the first weddings I ever shot was a destination wedding in Oahu and here I was returning to photograph another wedding in Oahu 9 years later. Josh and Sharon had the sweetest, most intimate wedding and there were happy tears all day. Their absolute love for each other just poured out throughout the day. Just look at how incredibly sweet their first look was before the wedding ceremony! How did you choose Paradise Cove as your wedding venue? We wanted to get married at the beach, next to the ocean, but we wanted our ceremony to be on grass versus on the sand. 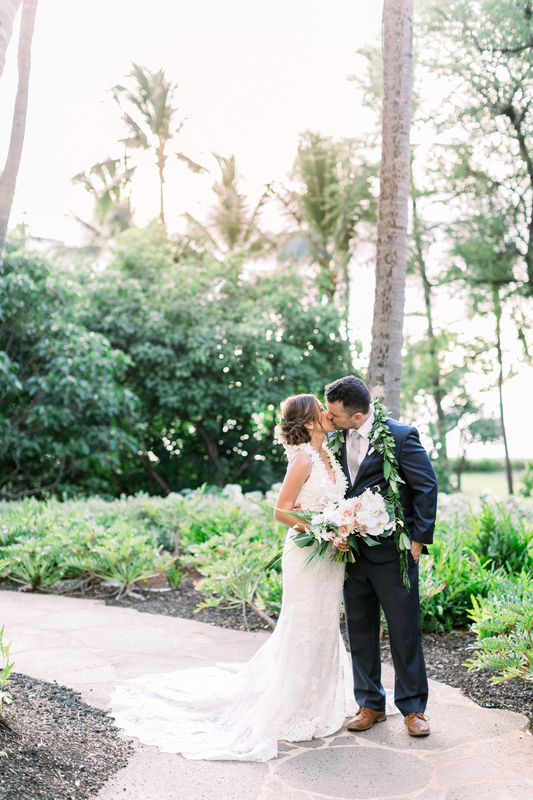 Paradise Point was gorgeous and perfect for our intimate, private wedding in Hawaii. 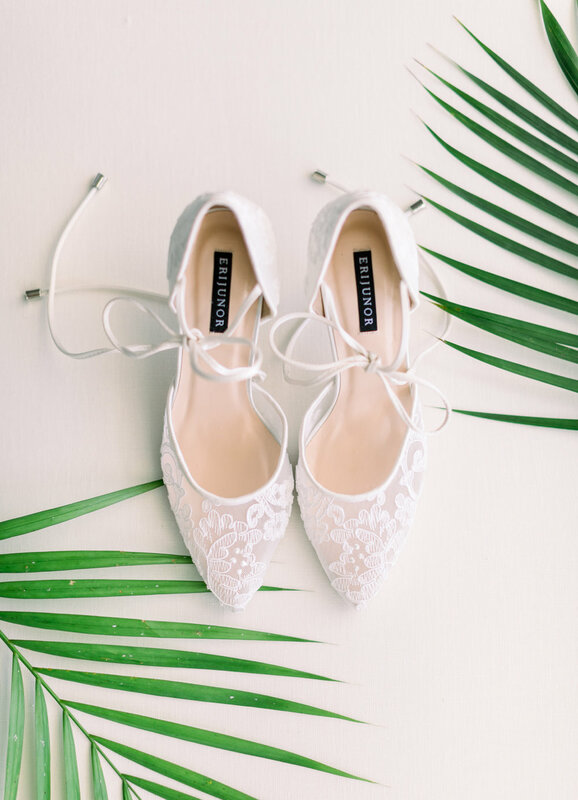 Any advice for brides planning their wedding day? All photos captured by Orange County Wedding Photographer Lovisa Photo. If you liked this destination wedding in Oahu, you may also be interested in this proposal in Laguna Beach or this Palm Springs Wedding at Colony 29.